Kevin is an internationally recognised and respected forensic scientist with extensive experience in research, development, validation, troubleshooting, quality assurance and management within forensic science, gained through working for the Forensic Science Service for 25 years in a number of roles including Head of R&D and as Standards and Validation Manager. He is a creative and independent thinker with strong scientific and business analysis skills, and is highly experienced in identifying and resolving science quality issues. Kevin displays personal integrity at all times, working meticulously and acting in the best interests of justice, ensuring standards are robustly maintained and that complex customer issues are resolved. He has a proven track record of inventing new methodologies and of introducing technology into forensic science from other fields. Kevin is a highly effective written and verbal communicator having lectured extensively worldwide plus authored and co-authored 40 publications. Kevin has vast experience in the validation of all types of forensic science methodologies, having been responsible and accountable for the assessment and authorisation of more than 400 new and modified techniques implemented by the FSS for the past 10 years. He is highly effective at troubleshooting and has been frequently called upon to resolve quality issues in casework processes, especially in DNA analysis. A notable example was being the first to identify the global forensic issue of spurious links between unrelated crimes being caused by sporadic contamination with DNA from personnel manufacturing the consumables that are used in DNA analysis. As Head of R&D, Kevin directed the scientific development underpinning a number of groundbreaking initiatives including creating a fully automated line for processing DNA reference samples. He was involved in the first investigation in the world to use DNA analysis and has been fully involved in all subsequent DNA developments. 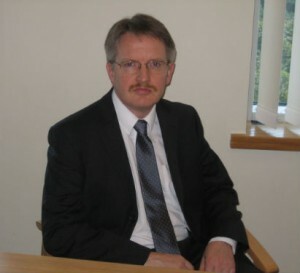 Kevin has also had direct case-working experience, having been trained as an expert witness, and personally checked critical findings in many specialist DNA cases utilising mitochondrial DNA analysis that were generated by a specialist casework unit for which he was responsible. Successfully supported colleagues in rebutting challenges regarding the validation of LCN DNA analysis in landmark cases. Over a period of many years Kevin has gained extensive knowledge and experience in establishing scientific quality and meeting the requirements of international quality standards. Indeed, his experience in this area includes establishing best practice scientific standards at international, national and corporate levels. For example he has worked with the Forensic Science Regulator to help generate the latter’s recently published Codes of Practice and Conduct. He was also recently commissioned by the British Standards Institute to write a national standard for consumables used in forensic science.